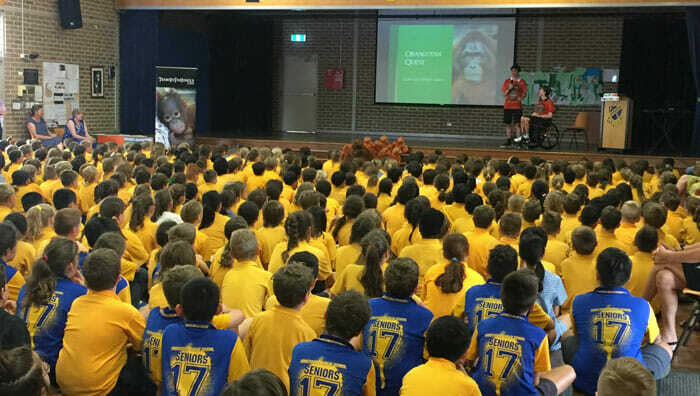 The Librarian of Abbotsford Public School, Mrs Beth Hudson, invited Daniel and William to speak about their quest to save the critically endangered orangutans of Borneo and Sumatra to all of the students. After reading the boys latest book, Fight for Survival, the school has been learning about orangutans, palm oil and deforestation so the students were extremely excited to hear the boys school talk, first-hand, about their journey through the jungles of Borneo. What was the biggest highlight of your trip to Borneo? How long have you been looking after the orangutans? Do orangutans catch our diseases? How old is the oldest orangutan? How long did it take you to get into the jungle? After the presentation many students told the boys they were asking their families to adopt an orangutan for them as a Christmas presents instead of toys. In thanking Daniel and William at the end of their presentation, Miss Chris Johnson, Principal of Abbotsford Public School, mentioned how impressed she was with her students that there was complete silence while Daniel and William were presenting. As she thanked the boys for coming today, she said how their school talk was of ‘Exceptionally high interest”, to the students, and how their talk completely immersed and engaged them saying it was, “spellbinding and riveting”. 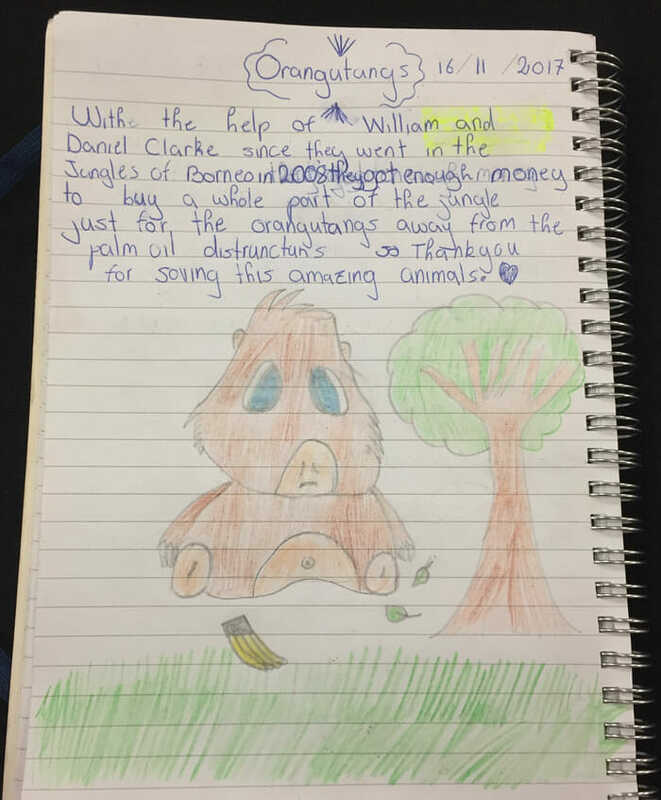 One student presented the boys with a beautiful drawing and story she had written as she was so inspired by their quest to save the orangutan. Thank you Abbotsford Public School for having us and helping to save the orangutans from extinction. If you to would like the boys to come to your school and present their school talk to your students, please click the button below and book the boys for your special school talk visit in 2018 and we will send you all the information you need.